I don’t like to pretend that frozen bananas will ever taste the same as ice cream, and this sauce also works deliciously decadently over ice cream. However, for those who don’t want a lot of dairy, I like the chunky muddle of frozen bananas with this warm moreish sauce. 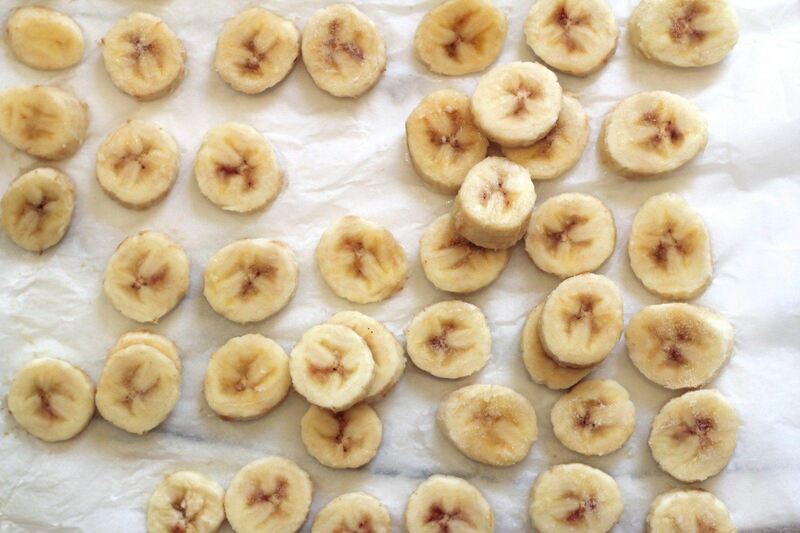 In advance, peel and chop the bananas placing the pieces into the freezer. Minimum for 2 hours or store some in the freezer as needed. To make the sauce, place the dates and milk into a food processor and blend together until smooth. Pour the mix into a saucepan and add the chocolate melting everything together. Stir regularly until the chocolate is thoroughly melted for 4-6 minutes, but be careful that it doesn’t solidify. If this happens, whisk in a little more milk. 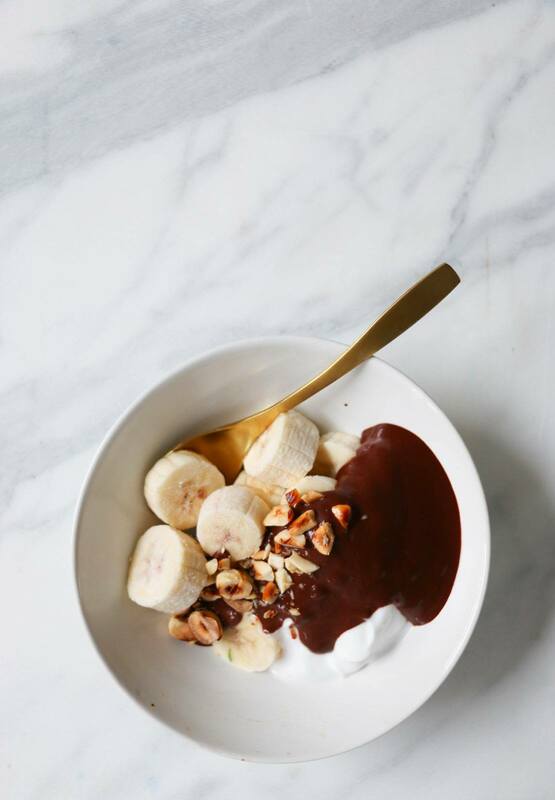 Serve warm on top of your bananas and top with chopped hazelnuts.